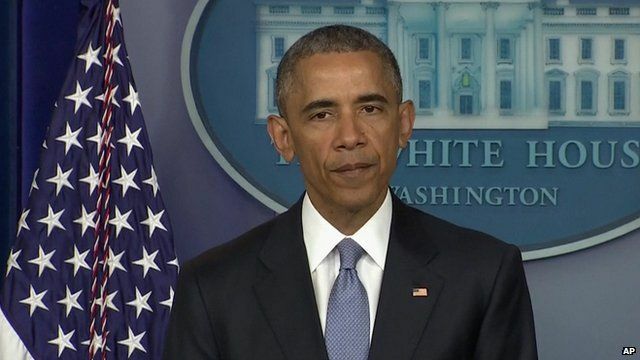 'Profound regret' over hostage deaths Jump to media player President Obama says two hostages, Warren Weinstein and Giovanni Lo Porto, were killed in January in a US counter-terrorism operation in the Afghanistan-Pakistan border region. Spy inside al-Qaeda goes public Jump to media player An agent who infiltrated al-Qaeda on behalf of British intelligence has spoken to the BBC for the first time, the BBC's Gordon Corera reports. Obama defends Mueller response Jump to media player President Barack Obama has rejected the suggestion that the US could have done more to free aid worker Kayla Mueller, following confirmation of her death. Family's heartbreak at IS hostage death Jump to media player The US has confirmed the death of aid worker Kayla Mueller, who had been held hostage by Islamic State (IS) militants after being captured in Syria. US hostage dies after rescue bid Jump to media player UK-born US hostage Luke Somers dies after a rescue operation by US and Yemeni forces against his al-Qaeda captors, US officials say. Al-Qaeda hostage appeals for help Jump to media player An American aid worker held by Al Qaeda for more than two years has appeared in a video appealing for help. Family pleads for US hostage return Jump to media player The family of an American aid worker abducted in Pakistan has pleaded for his safe return, more than two years after his capture. President Obama has announced that two hostages were killed in January in a US counter-terrorism operation in the border region of Afghanistan and Pakistan. He said the men - American Warren Weinstein and Giovanni Lo Porto from Italy - had been held by al-Qaeda for several years. President Obama said the two hostages had been killed accidentally, describing it as a painful loss that he profoundly regretted.